1. Walking to the bus. 2. Happy and great view. 3. Two of three concerts we'll go to. 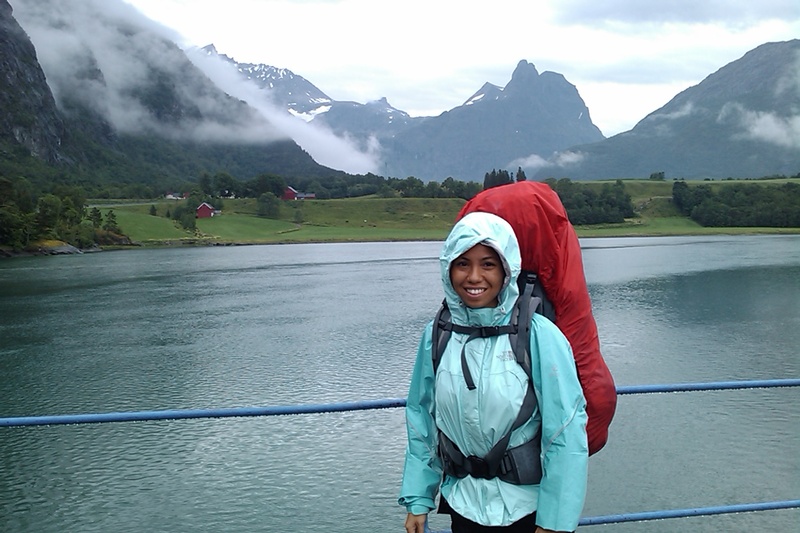 Having practiced packing tent in rain we got to test it today, after a breakfast of oats we left for Molde. 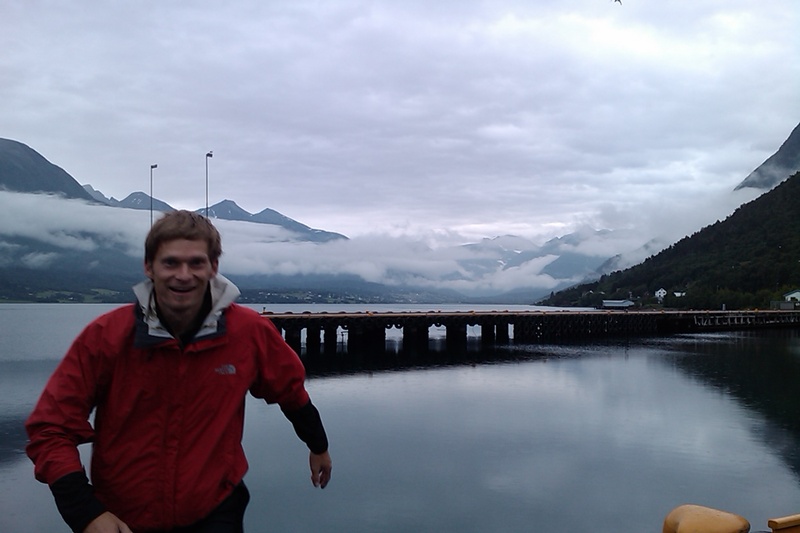 - Walk from Åndalsnes camping to the city's bus stand. 25min (with back packs). 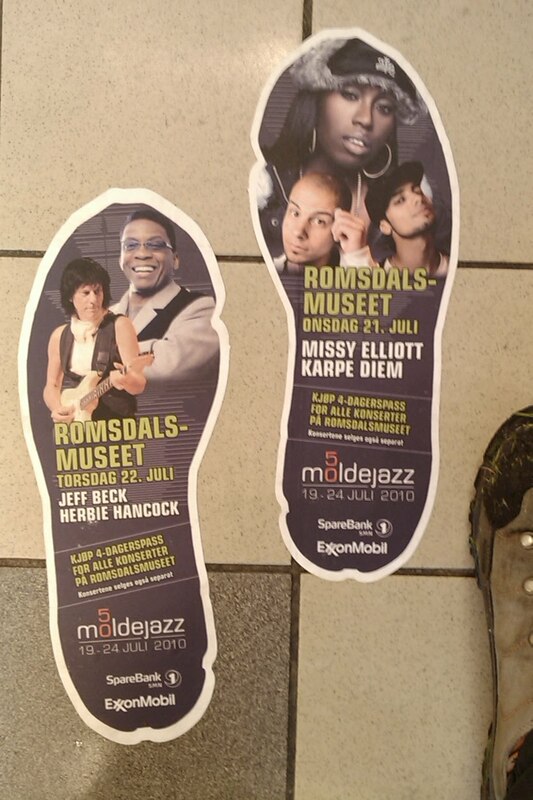 - Bus to Molde 101,-/person (www.nor-way.no), but exit at Kviltorp camping where we'll stay as the weather is wet and we trust this to be a safer choice than the festival jazzCamp. - The bus ride includes a ferry ride crossing the fjord. - A very nice view of the surrounding fjord, mountains, greenery and water falls. Kviltorp is about 40 min walk from the city centre. The road passes by a shopping area where we got some needed equipment. Starting to get sleepy during day time now..
Hello my son . 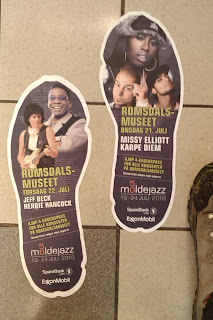 hope you like the Jazz - We should have been there,but it seemed to be a wet time in Molde. How are you both with the weight of your rugsacks!